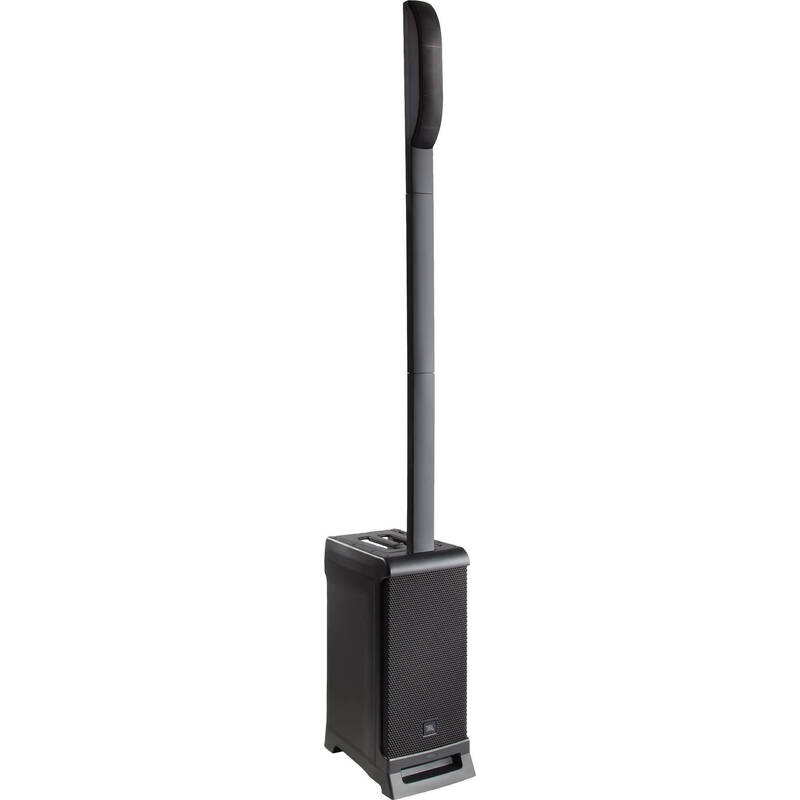 Building upon the success of the EON ONE, the JBL EON ONE PRO is an all-in-one battery-powered, compact PA system that delivers professional quality audio for live performances, meetings, conferences and more. The base unit houses the battery, power amplifier, 8" subwoofer, and the 7-channel mixer. The built-in lithium-ion battery can power the system for up to 6 hours. The high-frequency element features patent pending Directivity Control Geometry, which optimizes the spacing and angles of the six high-frequency drivers to create a remarkable front-to-back coverage. Channels 1 to 4 on the mixer offer XLR-1/4" connectors with dedicated treble, bass, and reverb controls, as well as phantom power for condenser microphones or active DIs. Channels 3 & 4 can be switched to Hi-Z instrument inputs to accommodate guitars and bass, while channels 5 & 6 offer stereo RCA inputs, and a stereo 1/8" input for connecting portable music players. Additionally, channels 5 & 6 offer Bluetooth audio streaming. The mixer also features a stereo RCA output monitor for connecting to additional speakers, recording devices, or other outboard gear and an XLR pass-thru for connecting additional speakers. The EON ONE includes two spacers allowing for three position configurations and further expanding the systems flexibility. The HF element and two spacers conveniently pack away into the base unit, which can be carried by one hand. An optional EON ONE bag is available, which includes wheels to aid in transporting the unit and provides protection from bumps and scratches. Additionally, an accessory mount located at the top of the line-array speakers allows you to attach a camera, such as a GoPro or a light for creating a vibe. The EON ONE PRO ships with the two spacers and a power cord. 80° x 60° clean coverage using patent-pending "Directivity Control Geometry"